Transcript of Daniel Dugas’ talk given during the AnthropoScene, a semester-long exploration of this new era sponsored by the Leonard and Jayne Abess Center for Ecosystem Science & Policy and the College of Arts and Sciences of the University of Miami with participation by Artists in Residence in the Everglades. 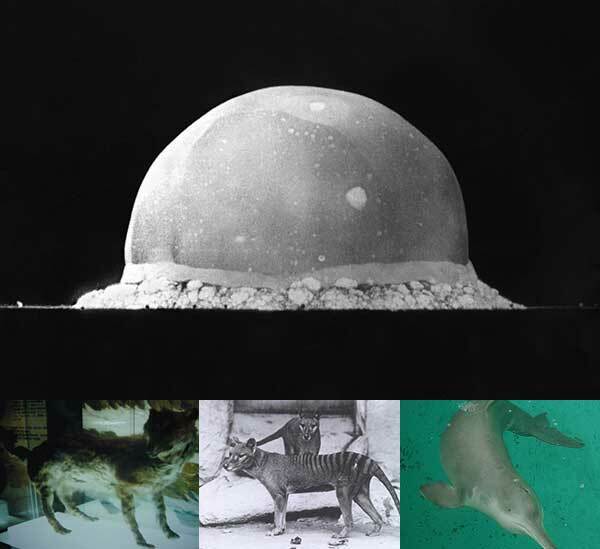 TOP: The Trinity explosion, July 16, 1945; BELOW: The wolf of Hokkaido, the Tasmanian tiger and the Yangtze River dolphin. The image of the first explosion of an atomic bomb to represent the beginning of the Anthropocene epoch is a dramatic choice. It is a powerful marker that can also remind us that what starts with a bang could also end with a whimper. When I was first looking into the terminology for geological time scales, eras, periods and epochs, I was trying to visualize the latter part of the scale. Where are we in there? How do we fit in? What is the correlation between us and the bomb, the bomb and our daily life? If I was to transpose the atomic bomb into a in a more modest span of time, I would think that it would be like starting a new day by getting up on the wrong side of the bed, or worse by getting up only to trip on the carpet at the foot of the bed. The optimist in me says that it would only get better from there. After taking care of this time scale concept, sort of, I started to worry about the implications of using such an image? What does it mean to have an atomic bomb symbolise the beginning of something? The images of the early blasts are still imprinted in our minds. I can still feel their heat and there is still a part of me that wants to run for cover under a desk or a table. The iconic charge of the bomb is still there and its power continues to frighten us all. There is a reason for everything. And the reason for choosing the atomic bomb as the icon for this epoch is fine. We all agree that it would have been less persuasive to have used an abstract rendition of a medical isotope. If radiation can be used to heat or to heal, it is also a metaphor for death and destruction, and this brings the atomic bomb, as an icon, much closer to the end of the world than the ‘radioactive substances used by health professionals to assist in the diagnosis and healing of certain health conditions.’ But is this the end of the world? Yes and no. For those who are going to disappear, it is. And we have seen countless of disappearances so far. The wolf of Hokkaido left us in 1889, the Tasmanian tiger in 1936, and the Yangtze River dolphin in 2007, among others. And there will be more species disappear from our world in the future. Although the image shown suggests that the Anthropocene is the end of the world, it is not. Instead, it is a marker for a state of the world. It demonstrates the farthest we can go, the extreme limit of the human experience. The end of the world has a distance and a time frame attached to it. In the Everglades it was the name that the people living in what is now known as Flamingo thought the place should be called. It was about space. For the estimated between 90,000 – 166,000 people who died in the Hiroshima explosion, it was the end of time. In 2004 I created the installation Nuclear Mickeys with an audio component entitled 666 seconds of hesitation. The sound track was based upon the Robert Oppenheimer “Now I am Become Death” recording. The Nuclear Mickeys were nuclear explosions that got a fashion makeover for easy and safe consumption. I wanted to show how marketing swallows and dilutes meaning, making everything a game. I was fascinated by the silences and hesitations in Oppenheimer’s speech and based the soundtrack on them. 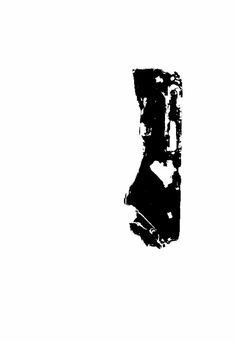 The recording is 58 seconds in length; 28 seconds are comprised of silences, hesitations and breathing. I cut out the words and only kept these pauses. For me, these are the real messages, the heaviest messages. I would like to draw your attention to this time-lapse map of Japanese artist Isao Hashimoto. It spotlights 2053 nuclear explosions that have taken place between 1945 and 1998. This was…a mass burial of unsold video game cartridges, consoles, and computers undertaken by American video game and home computer company Atari, Inc. in 1983. The goods disposed of through the burial were generally believed to have been unsold copies of E.T. the Extra-Terrestrial, a game which had become one of the biggest commercial failures in video gaming and is often cited as one of the worst video games ever released. If the bomb is a great source of inspiration and fascination you have to agree that the whole Atari burial thing is quite something as well. And the cherry on the cake goes to the Vice Admiral Blandy, and his wife cutting the Atomic Cake in a 1946 ceremony celebrating the first explosion in a post war era (peacetime). All is a question of perception and attitude. The great acceleration of human activities that has been happening in the last 60 years has also transformed our perception of the world. But Speed is an interesting word. It means ‘rapidity of movement, quickness, swiftness’, but in old English SPED means ‘success, a successful course; prosperity, riches, wealth; luck; opportunity, advancement.’  We thrive on speed, it is been the foundation of our modern world. And even if everything goes by faster and faster, we believe that everything will be okay. Everything has to be okay for things to go on. And we like things to go on. This message of hope is conveyed in every advertisement, in every slogan: Beyond Petroleum (bp), Make things better (Toyota), Solving Challenges (Halliburton) or Solutions are in our nature (David Suzuki) –all offer visions of optimism and possibilities. In 2010, we all witnessed the Gulf of Mexico oil spill. For me, it was a watershed moment of great sadness. I was emotionally shaken by what I was seeing. Like many, I stood there powerless, watching the strange image of oil gushing out of a pipe. We were witnessing an endless leak of oil, right in the middle of the so-called Peak Oil period. What followed changed our perception of disaster. I think from that moment, no disaster would be seen the same way. Two week after the blowout, I listened to the CBC (Canadian Broadcasting Corporation) interview with Dr. Overton, Professor Emeritus at Louisiana State University’s Department of Environmental Science. He spoke of the uncertainty and the scope of the event, noting that it would never be as big as the Exxon Valdez. The doctor talked about the oil spreading over a much longer period of time than the spill from the ill-fated tanker and explained how the effects would be less severe. He went on to compare the situation to a house fire saying that ‘a room might be on fire, but it doesn’t mean that the house is in danger.’ I was shocked to hear something like that. The doctor was actually comparing the oil spill and the Gulf of Mexico to the ‘room’ and the rest of the planet to the ‘house’, talking about the environment as a series of compartments, secluded from one another, with fire doors in between habitats, something like a weekly pill organizer. And somehow the disaster went away. In mid August President Obama and his daughter Sasha were already swimming for the cameras at Panama City Beach. Normality prevailed. Less than a year later, on March 11, 2011, we collectively witnessed the Fukushima Daiichi nuclear disaster. The meltdown of three of the plant’s six nuclear reactors was big news for a while, but this too went away. It did not take long for Japan’s Prime Minister, Shinzo Abe, to assure the International Olympic Committee that radiation leaks at the plant were ‘under control’. Eighteen months after the meltdown, the Olympic Committee announced that Tokyo (238 kilometres from Fukushima) would host the 2020 Summer Olympics. And suddenly, rapidly, successfully our planet becomes a house; we can close the Gulf of Mexico door or the Fukushima door and celebrate all that is good in the world. We would like to think that. Unfortunately, last week’s FUKUSHIMA UPDATE revealed that another pool of highly contaminated water was found to be leaking into the sea. According to some, the final clean-up will take 40 years. The lesson to be learned from both of these disasters is one of attitude and perception. If such disasters can occur so close to us, to them, and everything is fine, then we have to realize that the disasters to come have a serious benchmark to surpass in order to be qualified as worrisome. The earth can take it. She is tough. We’ll close the door or draw the curtains down. What can artists do, how can we contribute? Much like the artists sent on explorers’ ships, we can draw or take photographs of what we are seeing as a legacy for the future. Our function will be to document what is out there, but more importantly, we can keep the door open and make sure that the curtain stays up. Wassily Kandinsky said that artists have a responsibility to speak about their time, to speak about the spirit of their age. To paraphrase Roy – the leader of the renegade Nexus-6 Replicants in the movie Blade Runner, I will add that not speaking about our time here, would be like losing tears in the rain. If we take responsibly for something, we acknowledge that we can do something, and to forfeit this opportunity is like losing tears in the rain. SPEED: Old English sped “success, a successful course; prosperity, riches, wealth; luck; opportunity, advancement,” from Proto-Germanic *spodiz (cognates: Old Saxon spod “success,” Dutch spoed “haste, speed,” Old High German spuot “success,” Old Saxon spodian “to cause to succeed,” Middle Dutch spoeden, Old High German spuoten “to haste”), from PIE *spo-ti-, from root *spe- (1) “to thrive, prosper” (cognates: Sanskrit sphayate “increases,” Latin sperare “to hope,” Old Church Slavonic spechu “endeavor,” Lithuanian speju “to have leisure”). Meaning “rapidity of movement, quickness, swiftness” emerged in late Old English (at first usually adverbially, in dative plural, as in spedum feran). Meaning “rate of motion or progress” (whether fast or slow) is from c.1200. Meaning “gear of a machine” is attested from 1866. Meaning “methamphetamine, or a related drug,” first attested 1967, from its effect on users. FukushimaUpdate.com went online on October 16, 2011. It is dedicated to providing news and information related to the nuclear crisis at the Fukushima Daiichi nuclear power plant in northeastern Japan. With neither a pro- nor anti-nuclear agenda and no axes to grind, Fukushima Update aims to be a one-stop source for reliable, fact-based reporting about the Fukushima situation. Thank you all for being here this evening. 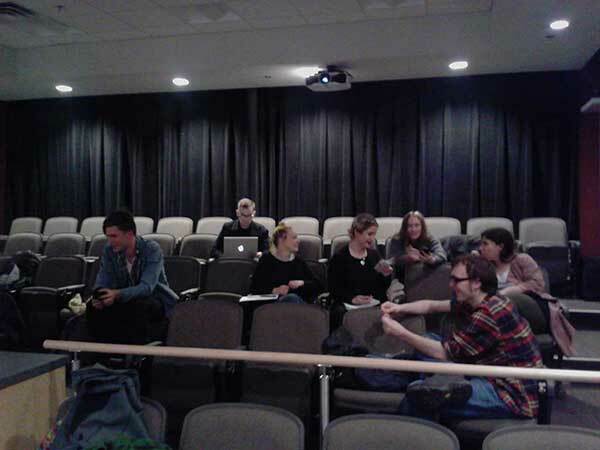 We would like to thank the Media Arts Division of NSCAD University, Bruce Barber and Michael McCormack for inviting us today in the context of The Readymade Institution: Portable and Alternative Galleries. 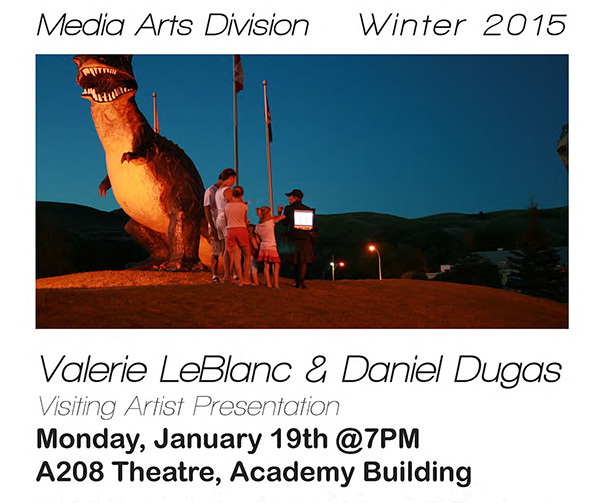 Special thanks to: Sarah Hicken, Enterprise Car Rental, Amanda Fauteux and Joanne Reynolds-Farmer, NSCAD. In trying to define the broader category of what I do as an artist, working with the invisible and the visible probably covers it. We are here to talk about the MediaPackBoard (MPB) but it is not all of what we do and we will talk about our current and ongoing collaboration: FLOW: BIG WATERS, Everglades project at the end of this presentation. Amid other life activities and use of various artists’ media, I have been working with video for a long time. During my Foundation studies at NSCAD, Pat Kelly, one of my Instructors, had us work through a video exercise of ‘filling the screen.’ When I created MPB Was There Then, I was remembering back to what I hold in memory as the ‘heyday of conceptual art – when Andy Warhol was GOD’ – and I enjoyed reaching back to the ideas surrounding the image within an image otherwise known as the Droste effect. And so, as I talk, I will move slightly back and forward in time. Although the MPB has been set up on a mannequin today, it is not yet purely a museum object as yet. Ten years of programming has included not only the playback of new works but active involvement with random audience/participants. The MediaPackBoard had its public debut at NSCAD during Daniel’s Free Market Karaoke presentation (2005), in the Boardroom. Daniel presented and I tagged along, trying out the MPB on the trip. We also brought along and screened the Alberta Prairie Tales 7 film and video program. A lot has already been said about the MPB so when I looked at points to bring today, I could not decide what to add to the discourse. Then I realized that which we must always remind ourselves of: THE NOW. I never brought anything HERE to YOU before, and then I got over my block. The value of creation is commodifiable. It starts out with an idea, moves through a process and finds a place in the world. Some might say that the value of that creative power is known to the artist, and its aggregate value is arrived at when-and-after a work is taken out to the test market. Others might argue for the time factor, the process of permitting the creation to age like a fine wine or cheese. Meanwhile from the creation point of view, back at the studio, if the ideas do not get out, artists can become discouraged with working through all of the processes involved with problem solving; i.e. the how and the why that are needed to create a work, to complete a project. I think that not getting the work ‘out’ might be what has happened when artists give up creating and move away from the art world. Arguably, it could be the result of individuals deciding that they will apply the problem solving skills honed in the art process to another field with more immediate payback. Because it can sometimes take a while for the world to catch up with the wonder of your creations, you might be considering the portable gallery option; of taking ideas out to find the audience that is ready for what you can bring to them. And that relates to cultural change, to expanding the parameters and expectations of works that are not of the same stuff as those commodities previously recognized as having value. In fact, value itself is undergoing new definitions in contemporary culture. While monetary value is still the bottom line, artists are finding that there is interest in their works that fall outside of the lines imposed by traditional gallery structures. MPB Earth was a hands on science experiment: The Angle of Incidence is Equal to the Angle of Reflection, Calgary, 2008. A spy-cam was attached to a helium balloon. Audience / Participants could direct the gaze of the camera using a mirror and by adjusting the ‘kite strings’. 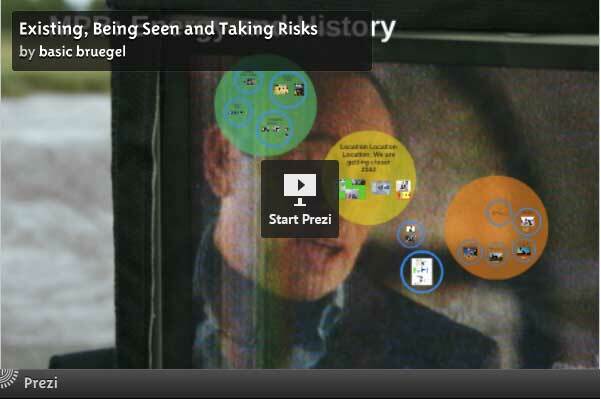 The image picked up by the eye of the camera was projected onto the MPB monitor. Swedish Director Roy Anderson, in the fortuneteller scene, Songs from the Second Floor, offers a poignant and rather timeless look at the demands of world based politics and economies. There can be multiple interpretations of any movie scene and here is one: Those in charge of the economy and future survival are assembled around a boardroom table in the presence of a fortuneteller. Suddenly, they all notice that the building next door is moving, panicking, they rush out of the room; they bail out. The fortuneteller calmly steps away from her crystal ball, moving slowly toward the window and the shifting view. We could interpret that those gathered around the table were not comfortable with the idea of change, of shifting baselines. Conversely, we could think that the fortuneteller, if a gypsy, or an immigrant was used to embracing change, and the need to move. Staying anchored while moving, changing, growing, maybe that has always been the challenge of living, and of working in the arts. In the face of events well covered in the media, it seems that going anywhere is becoming more and more difficult. I am imagining that each of you who is taking Michael’s course, has ideas for putting your work out there, for finding your audience, and having your ideas gain more visibility. Within that line of thought, we must all ask ourselves, ‘what is the place of portable and alternative galleries / public performances in today’s world culture?’. This was a question that needed to be addressed in 2005 when first stepping out with the MediaPackBoard. For sure, it is more pressing now. I had moved into a twin tower in Calgary’s downtown core in the fall of 2000. Taking a camera out on the street changed immediately after 911. ‘I’ as the ‘eye’ behind the camera became a more self-conscious act. After that, the ease or lack of ease and comfort level at both ends of the lens vacillated, as everyone had to become alternately more comfortable and / or more vigilant of recorded scenes. The 28th G8 Summit was held in Kananaskis, Alberta, June 26-27, 2002. Living in full view of the Rockies, I saw the military training exercises and other preparations carried out in advance of that world event. Aside from news coverage, I witnessed the comings and goings, and the hovering of military helicopters. It was reminiscent of DirectorJohn Badham’s 1983 Blue Thunder, a movie that pre-told the future of today’s surveillance monitoring. On Sunday June 23rd, I stepped out to gather some city scenes for the video I was working on. Downtown Calgary on Sundays, at that time, could be pretty quiet. In fact, the streets were deserted and that was no surprise. On that day however, I crossed the street and a police car sped out from around the block, screamed toward me and stopped in the middle of the crosswalk. As I spoke with the driver, answering questions of who I was and where I was going with the camera, the co-pilot searched through the onboard computer. And that was new for me as a videographer. Later, I thought about it and realized that by way of completing an exercise in readiness, anyone with a camera would probably have been stopped on that day. At the time, as a video artist out with a consumer grade camera, it was a first. And so it continues; after each destructive incident, there is some softening of acceptance followed by more stringent agendas. We have to be careful not only to react but to also move proactively in the landscape. It can be a somewhat difficult task. The MPB was put together to embrace the adventure of showing up to perform unexpectedly, sometimes within another event, and to screen works. While performing and inviting audience participation, being able to screen works was an immediate payback. 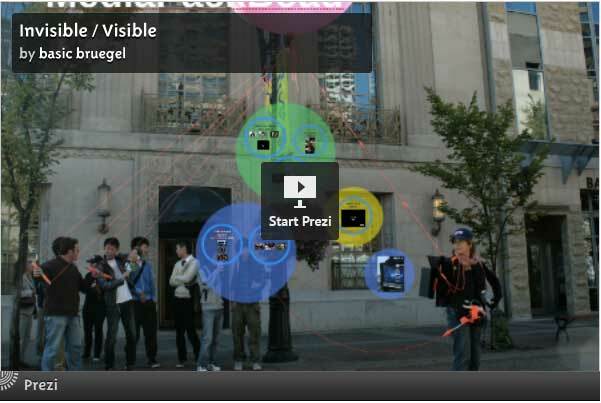 Sometimes people hung around or followed the MPB carrier to experience the videos. MPB CURATES 2007 involved screening the work of artists: Amalie Atkins, Terry Billings, Linda Rae Dornan, Jim Goertz and Jeffrey John Jackson. 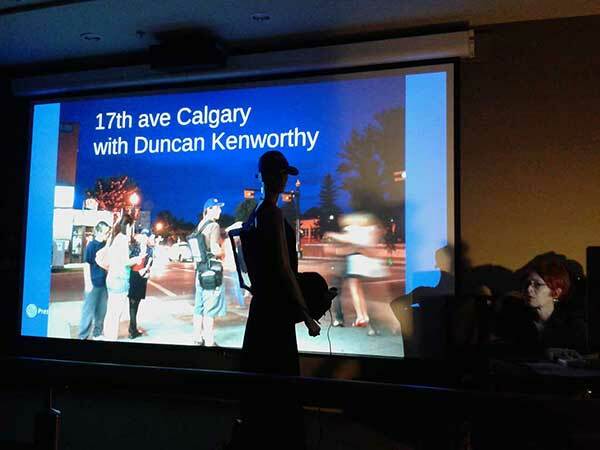 The works were screened on the streets, on four separate occasions in Calgary, Edmonton and Drumheller, Alberta, with Guest Carriers interacting with public audiences. In 2012, Daniel and I brought the MPB Street / Screen Encounter to Eyelevel Gallery’s World Portable Gallery Convention here in Halifax. At that time, Michael was the Director of Eye Level. For that adventure, we went fishing, offering others the chance to direct the gaze of a spy-cam. That was when we first met Michael and started to exchange ideas on portables. The MPB Curates 2007 booklet was published in (2008) and in 2014, the MPB-X – a critical discourse surrounding ideas of portability in art and art dissemination was launched to celebrate 10 years of MPB. It is available free online. 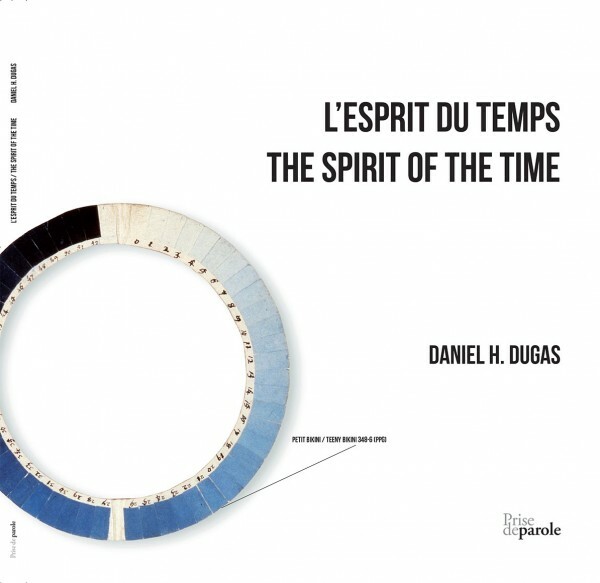 Essays are by: Michael McCormack, Renato Vitic, Daniel H Dugas and Valerie LeBlanc, with a foreword by Diana Sherlock. • Keep it simple. This seems to become easier with each technological breakthrough that becomes accessible to artists as consumers. • Use mass media tools to give your audience more than they get through mass media. • Treat your audience on an equal level. Exercises in frustrating an already over traumatized audience should be thrown out, maintain an attitude of offering your projects in the spirit of playful generosity. • Keep in mind that some work is more complex and cannot be seen on the street. • Be as clear as possible of what you hope to accomplish through your portable and alternative presentations – and be ready to address all of the questions. Bourriaud, Nicolas, Relational Aesthetics (Dijon: Les presses du reel, 2002), 45. Translated by Simon Pleasance & Fronza Woods with the participation of Mathieu Copeland. The need to show your work, of setting up structures, of going out there and creating something new is a very dangerous thing to do, whether it is a gallery in a car, in a coat, in a fridge, in a wall, in a pocket, even a wallet; independence means that there is no safety net. It means that you are on your own, that there are no curatorial teams, no museum funding, that there might not be anybody to back you up. But in this loneliness, you are not alone. On your side, you have energy and History. Energy obviously, but History as well, the History of Art to be more precise. Art history is one of the contexts in which your work is situated and whether you embrace this History of Art or you challenge it, it is one of the foundations for what you are doing. Context is a device of imagination. People say that everything has been done, that there is nothing new under the sky. Nothing could be more false. Anything in our present, anything in our future has never been done. The conditions are always evolving making our NOW unique. There is freshness in everything if you are ready to explore it. So, after completing our MFA’s in Chicago, and working in Alberta, we moved back to the Maritimes. We had been away for 7 years and somehow found ourselves with no place to show. Instead of waiting out that long period of time between the application and the opening night, we created our own art centre in the trunk of our 1981 Chevrolet Citation. It was a beautiful car, an RCMP blue hatchback. It had everything going for it. The reaction was immediately positive. People liked it. I remember the first time we drove in town with our sign; taxi drivers seemed to think that we were another taxi company arriving in town to compete. They looked puzzled. Our slogan was ‘exhibiting near you / expositions près de chez vous.’ We took a chance and we felt empowered. Newpapers and television stations started to talk about the project. In just a few months, we were talking to Peter Gzowski on CBC radio. We started to get emails from people as far away as BC, invitations us to show up at their place. Sister Annie Forest, who was 90 at the time, called us to ask if she could show her paintings in the trunk! 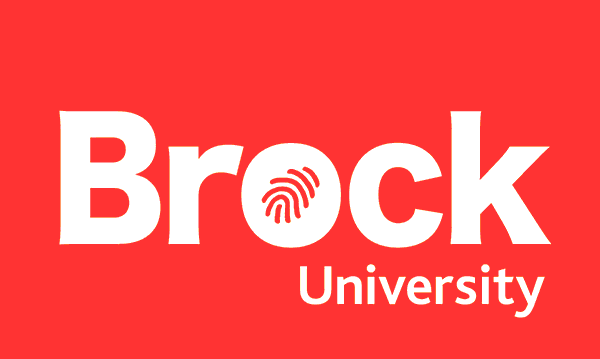 She had studied at OCAD in the 1940’s. We said yes, booking her for an early summer show. She was doing paintings of the cosmos at the time and the idea of having a galaxy in the trunk was really nice. Unfortunately we had to close the TRUNK in March. After a series of storms, it all became too difficult. The gallery came back to life in 1999 with Gold / Rush. We travelled to Saint John’s, Newfoundland and to Hamilton, Ontario offering a series of presentations that summer. There was a third and final TRUNK when the Alberta College of Art + Design celebrated its 75th anniversary. TRUNK75 was a festival of trunks in the College’s parkade. It took place on September 29 and 30th, 2001. There was a lot of planning for the event over the summer months that dissolved or became reshaped. In those times that followed so closely to the events of 911, something strange floated above us all. Our next mobile project was in 2002. It was a roaming wireless webcam expedition called Location Location Location: We are getting closer. 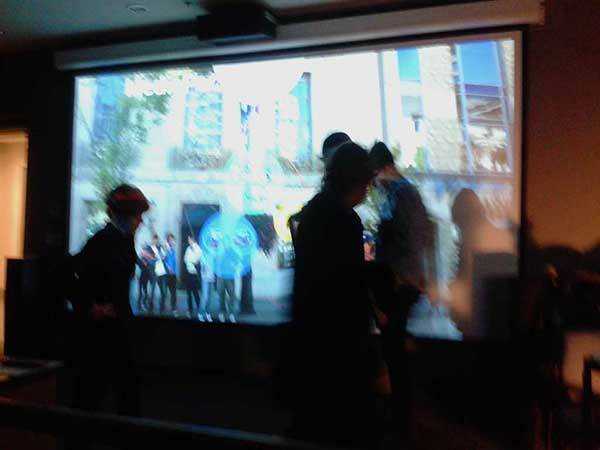 This project was part of the E-lounge presentations at the Atlantic Cultural Space in Moncton and EMMEDIA in Calgary. We travelled across the country, starting in Calgary. We then stopped down in Winnipeg, Ottawa and Moncton to ask people about cultural characteristics and the benefits of living in their particular urban locations. The interviews were streamed to all the touchdown locations. In 2002 the technology was definitely more cumbersome than it is today. The portable was a lot more difficult to manage. The rapport that most people had with technology then was very different than it is now. A few years later, in 2005, Valerie launched the MPB: a screen on a backpack; a mobile screen to take into crowds; an artist going for a walk; a world mediated. But this world has changed immensely since 2005. We were, and are more and more living in a world of screens. They surround us; cameras are pointing in every direction. Although the first smartphone (IBM Simon Personal Communicator – 1993 cell phone with a touchscreen) existed before the iPhone, it was the launch of the first iPhone on June 29, 2007 that changed everything. Developments are so rapid that we have hard time keeping up with the changes. For example, when we did the MPB WPGC in 2012, we used a bamboo stick to extend the reach of the camera, to view the world but also ourselves. That same stick is no longer known as a bamboo stick, it is known as a ‘Selfie Stick’. The BBC had an interesting post on the advent of the tool and pointed out that the first selfie stick might be 90 years old! When Valerie asked me to write something about the MPB for MPB-X project, I was interested in doing something on the Modes of Operation. It is about going out there and asking people to participate in something. A good example of that is the MPB EARTH. For the occasion, the MPB was linked to a weather balloon filled with helium. A small camera attached near the base of the balloon transmitted a continuous live feed of its point of view to the backpack monitor. Using a mirror and strings the participants were able to direct the eye of the camera to pick up what they wanted. These projects are often part of a process resulting in the production of photographs, videos and/or texts. MPB End of Signal, was an attempt to access over-the-air TV broadcast signals before digital conversion was imposed by the CRTC. The experiments were carried out in Sackville, New Brunswick and Peggy’s Cove, Nova Scotia. The old Trans-Canada Highway in Sackville provided better reception than in our home in Moncton, even with a homemade antenna. This is probably the most evident mode of operation for the MPB. The apparatus is an obvious platform for screening works and was used in a variety of earlier projects in Fredericton, Calgary, Edmonton, Antibes, Cannes, and Vallauris. These projects are a blend of showing works and meeting people. It includes many projects; FICFA, Dieppe and Edmonton (2005), La Dauphine, France (2006) and MPB Curates (2007). I would like to conclude my talk with the last paragraph of my essay in the MPB-X 2014 publication. Daniel and I often collaborate but we do individual projects as well. Last July we were Artists in Residence in the Everglades. Invited there by the AIRIE Program and the U.S. National Park Service, we carried out research for our FLOW: BIG WATERS project. Upon returning to Canada, we began by polishing poetry and prose texts that we had started writing while on site. 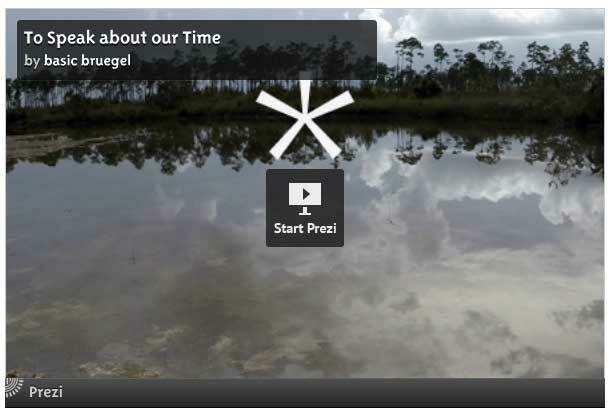 From that we have produced a series of videos, and continue to work on developing soundwalks for specific locations within the Everglades National Park. We will be printing photographs from some of the material we brought back and when complete, the work will be shown in installation. We were invited to Miami in November to screen some of these videos at the Miami Book Fair International. We also participated in a panel discussion on links between art and science, as well as the transformative experience of spending time in the Everglades. In connection with the University of Miami’s AnthropoScene: Art and Nature in a Manufactured Era, we will be going back to Miami in March to screen videos in an exhibition on campus. During our visit, we will be giving a workshop.